There’s a whole bunch of kindness in every kindness card! Good things come in small packages. 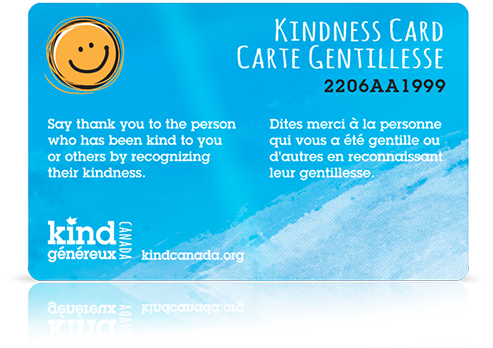 Kindness Cards from Kind Canada are proof that many, many acts of kindness come in something that fits in your hand, wallet, purse or pocket! Kindness Cards are being used by companies, organizations and individual Canadians to help spread kindness across Canada. Share with the world how kind our country is! To celebrate Canada’s 150th birthday, activate your card today and join your fellow Canadians to help create 1.5 million acts of kindness by December 31, 2017.